The dynamic of the workplace has changed a lot in the past years. People are no longer used to working in an office for 8 hours and then going home. They need something more than that to be productive. Businesses are now embracing an open, flexible, and collaborative way of working. Therefore, they encourage employees to speak their mind, come up with new ideas, and contribute to the success of the business. Furthermore, a cohesive team will always perform better than individuals performing their tasks separately. Thus, if you want to move your business forward and keep your employees motivated, then you need to promote teambuilding in the workplace. This article is going to show why it is essential to offer your teams teambuilding activities. What’s the Role of Teambuilding in The Workplace? A flexible workplace is great as it allows the team to work whenever they want, from any location they want. How great would that be to have the opportunity to work on your projects from the comfort of your home or with a stunning view in front of you? However, modern and flexible workplaces present a serious risk which is lack of communication. When people are not sitting in the same office, they might tend to forget how to communicate with each other. Team building comes as a solution to this problem as it gets the team together. When you offer team building sessions in the workplace, you give the opportunity for different departments to connect. For example, office-based employees will meet the remote workers in person. Therefore, team building allows your employees to have fun but also gives them the opportunity to discuss with each other current projects they are working on face to face. Together they can solve some of the most stressful tasks. Team building activities are an opportunity for management and employees to interact in a less formal atmosphere. It often shows a different side of each of their personalities. In a modern workplace, it is very important that respect and trust go both ways between the employee and their manager and vice versa. Therefore, a team building activity gets them out of the working protocol and allows them to show their human face. During team buildings, the managers get a chance to know their employees better as they will see how they react in a more relaxed and fun environment. The more time the managers spend with their teams during a team building, the better their relationship will evolve. Employees will gain more trust in their managers, and it will become easier for them to speak to them one on one and talk about their ideas for the business. What is more, during a team building, managers might discover a hidden talent of their employees which they can then use for a new project. Businesses have started to focus more and more on creating a strong workplace culture. When you say culture, you think of the company’s vision, mission, ethics, and personality. Apart from the products and services it offers, the employees are the biggest asset a company could have. They are also responsible for transmitting the company’s values to the outside world. Team building is the perfect way to motivate your employees and boost their morale. By organizing team buildings, you will reinforce the company’s culture and show your employees how much you care about their wellbeing. In addition, by engaging your employees in team building activities and strengthening your company’s culture, you will retain and attract the top talents on the market. Thus, by developing a solid and healthy culture, and working with the best employees in your industry, you have no other option than success. The team working at Trust My Paper is using team buildings to enhance the members’ creativity. Why? By creating a fun and relaxed environment for your employees will help them think outside of their normal routine. There are many jobs which require high creativity skills, which puts employers in a difficult situation as they need to continually find innovative ways to help their teams find their inspiration sources. What is more, when meeting other team members, employees can share fresh ideas and develop their problem-solving skills. In addition, team building breaks any barriers that could exist among team members. This is a great opportunity for them to start trusting each other more which will also have a positive impact on their creativity score. Overall, team building can help with everything from trust, collaborating, and maximizing the potential of your team members. 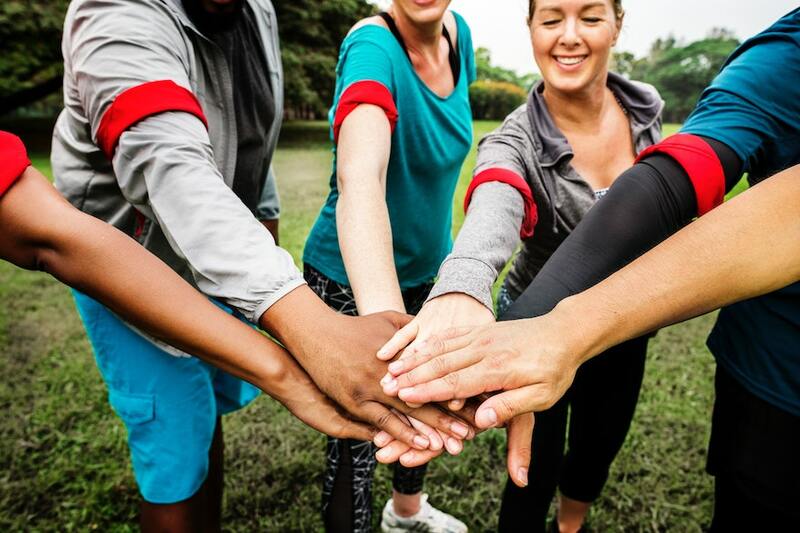 A team building event can transform a team into a unified group which can than translates into increased productivity and improved trust between employees and their managers.